Warwick Castle is about a 2 hour drive for us, so we set out really early (7:30am) to make sure we got there for opening (10am). It is a long drive so we did stop along the way but still managed to make it to the Castle just before opening. 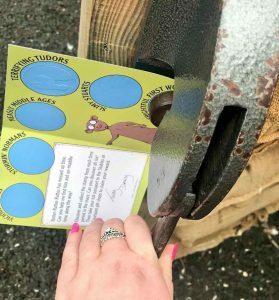 We had a walk around the maze – which is really fun as there are different sections teaching you about historic periods, and a passport to get stamped through time! As well as having lovely walks and having access to the castle and the different rooms, which is fun to walk around, there are also shows. There is a bird show, which is interesting, educational and really fun to watch! 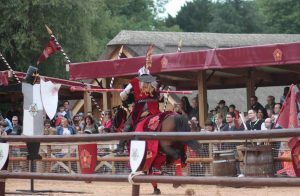 There is also a jousting show, which has it’s own arena. The show is called ‘War of the Roses’, it’s very exciting and I would recommend going to see it (with or without children). During term time the show is on of a weekend, during half terms the show is on everyday. This is a semi-interactive show that involves actors, horses and action! 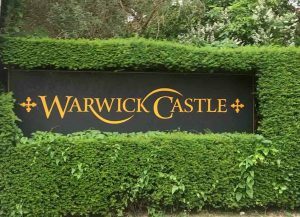 Warwick Castle is a fun day out, very entertaining, educational and fun. There is a lot to do and you should definitely check it out! However DO NOT eat at the Pizza and Pasta restaurant, it is run by teenagers who don’t care about what they are doing. There was almost no pizza out, and when there was there was only 1 or 2 pizzas brought out and the staff all stood around chatting together. We drove from Warwick down to Maidenhead and stayed at the Premier Inn, as this is semi central to all the places we wanted to visit. The hotel is okay and the staff are friendly but everyone seems to always be on a go-slow. This hasn’t changed from when we visited in October. On Sunday we drove out to Chessington World of Adventures. 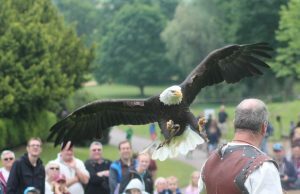 Chessington combines shows, rides and animals in one park. 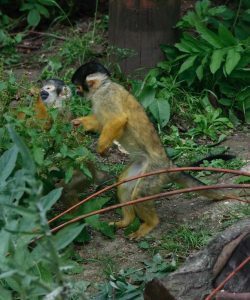 There is a zoo section where you can see penguins, monkeys, tigers, lions, gorillas and more! The Tigers walk over your head in a section of the park. The walk over your head is a connection to different pens for the tigers to run around, this is pretty cool. You can visit the sea lions even when there isn’t a sea lion show and they’re usually just swimming around, there is also a petting zoo where you can stroke rabbits and goats. 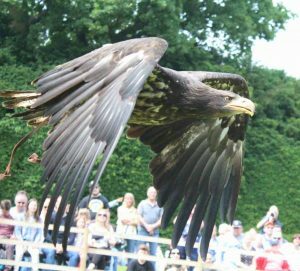 The different shows consist of a bird show, a sea lion show, gorilla/tiger/shark talk and feed as well as a Gruffalo meet and greet for children. 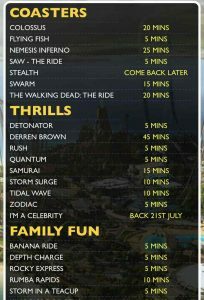 We didn’t catch any of the shows at Chessington as we were too busy on the rides! 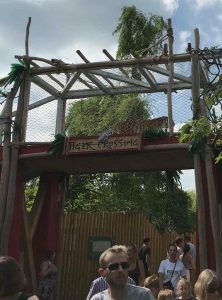 There are some big rides and quite a few smaller rides at Chessington but all of the rides are great fun, there are single rider queues and if your child is above the height restriction then they can go on as single riders if you don’t want to. 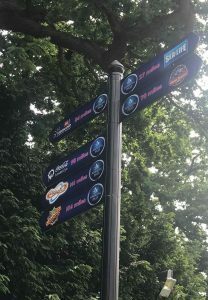 Even the biggest rides at Chessington allow children to ride as it is more catered towards families than the likes of Thorpe park and Alton Towers. 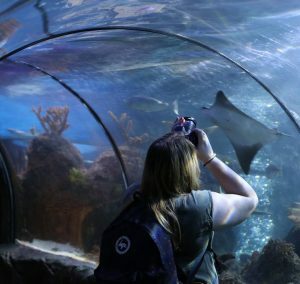 Chessington is a theme park with over 40 rides and attractions and 1,000 animals in the Zoo and Sea Life centre, so it is worth a visit whether you enjoy rides or not! 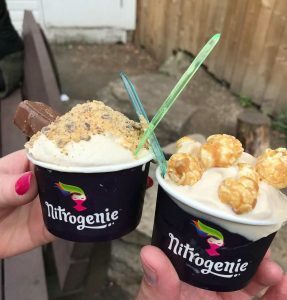 Don’t forget to have a Nitrogenie ice cream while you are there! Legoland is the closest park to where we stayed so we could have a little lie-in and spend more time choosing what we wanted for breakfast. 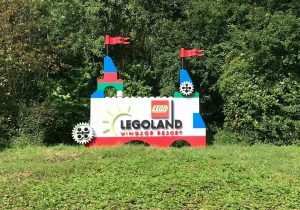 Legoland was open from 10am-5pm, however you are allowed into the park from 9:30am where you have access to the shop and Mini-land. 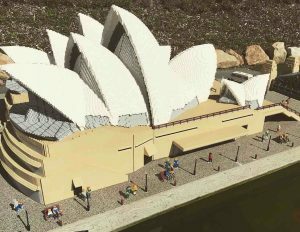 This gives you the first half an hour to walk around Mini-land and see all the different landmarks from around the world built in Lego!! This is impressive! There is also an opening show held in Mini-land before the park opens at 10am. We tried the usual to the back of the park first to get on more rides, however some of the park was off limits until 11am. This wasn’t advertised nor communicated to anyone till we tried to enter the back of the park and were asked to leave and told it was shut till 11am. So we went of a few other rides till about 10:50 and then made our way to the rides we enjoy the most ready for the 11am opening. Pre-warning that the log flume at Legoland really does get you SOAKING WET, and not just a bit damp! We wear our Cag’s every time we go on this ride and still end up getting soaked. 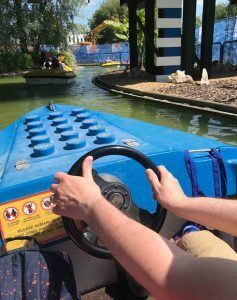 Check out one of our older posts if you want to hear about what we get up to when we go to Legoland. 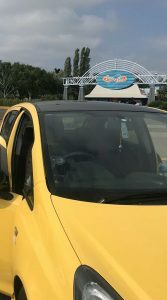 For our Final day we went to Thorpe park, recreating the ‘Inbetweeners’ with my very yellow car turning up to Thorpe park, luckily without a broken door! 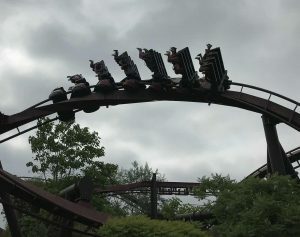 Thorpe park is probably the biggest of the Merlin parks with some of the biggest rides such as; Stealth, The Swarm, Nemesis Inferno and more. 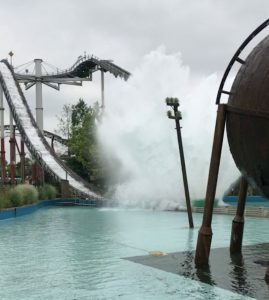 Thorpe park also has one of the best ‘log flumes’, about 20 people can fit into the boat, it has a 85.2 ft drop which causes a huge wave and there is no way you will be coming off this ride dry (or even damp). This ride is designed to get you soaked! The wave caused by the drop is so big it actually gets you wet when you’re walking through the exit path. This ride is definitely worth changing into flip-flops and taking a Cag although even with these you may want to get changed!! If you want to know JUST how wet you do get then check out the Thorpe park blog here. Thorpe park also sees the new ride Derren Browns Ghost Train, this is a well thought out Virtual Reality (VR) ride. You ride on a ghost train before departing and rushing onto the next train. I won’t give away any details, but you will be left questioning what happened in the VR and what happened in real life when you finally exit the ride. I wouldn’t recommend it for anyone who gets really scared, it is worth noting that actors are allowed to touch you on this ride (this is announced in the ride queue as well). We went during the week during term time which meant again that we didn’t really do much queuing, I can imagine it would be really busy on the weekend or during summer time but you are able to buy Fast Passes if you wish to skip the majority of the queues. We managed to do everything we wanted by around 2pm (we were the first people into the park in the morning!) So we decided to drive home and hopefully miss the traffic. We ended up stuck in traffic for a good hour and a half due to a crash but these things can’t be predicted! All in all we have a wonderful 4 days going to all the parks, we had so much fun and other than the restaurant in Warwick Castle there was nothing we could complain about. We would recommend all of these parks to everyone we know! They are fantastic for a day out and will leave you with great memories. 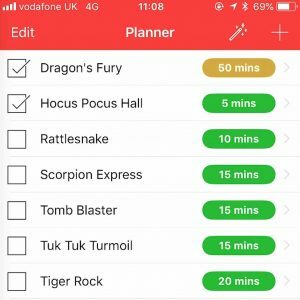 Also check out the apps for each park when you go as these show you the ride wait times, some of them allow you to make a list of the rides you want to go on and they can direct you to the ride you want to go on next. Next Next post: Icee: Is an 8 hour round trip worth it?